Elouise Cobell is a little-known hero whose relentless pursuit of justice led her to find remedy for over 300,000 American Indian account holders whose funds were held in trust by the U.S. government for over a century. "100 YEARS," the feature documentary by Melinda Janko, will make its U.S. broadcast premiere on March 13 at 8 p.m. on WORLD Channel (check local listings) as part of the new season of America Reframed, public media's award-winning documentary series. Streaming will begin on March 14 on worldchannel.org and all station-branded PBS platforms including PBS.org, and on PBS apps for iOS, Android, Roku, Apple TV, Amazon Fire TV and Chromecast. Elouise Cobell founded the Blackfeet National Bank, the only tribal-owned bank in the nation. As an advocate for Native American financial self-determination and independence, and the Treasurer of her Tribe, she uncovered longstanding abuses, mismanagement, denial and betrayal in the Bureau of Indian Affairs. Specifically, she identified billions of dollars that were supposed to go to individual Indian Trust beneficiaries. Thus, in 1996, Elouise Cobell became the lead plaintiff in Cobell v. Babbit, alleging the government's failure to deposit funds in the Indian Trust Fund. American Indian landowners' earnings were a result of a combination of oil, timber, gas and mineral leases that were negotiated and administered by federal agencies. When Elouise received $500,000 in connection with a MacArthur "Genius” Award, she used her grant money to pay lawyers and continue the fight. As the national spokesperson for the mismanagement of the Indian Trust Funds, Elouise led one of the largest and longest class action lawsuits in U.S. history. 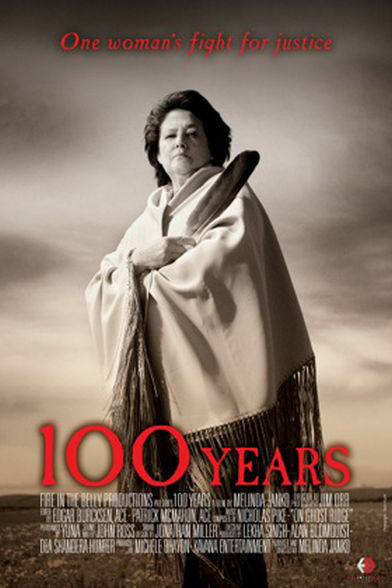 "100 YEARS" is the compelling story of how Elouise Cobell, a petite Blackfeet warrior from Montana, and great-granddaughter of the legendary Mountain Chief, prevailed against the U.S Government. America Reframed is a co-production of the WORLD Channel and American Documentary, Inc.
America Reframed curates a diverse selection of films highlighting innovative and artistic approaches to storytelling from emerging and veteran filmmakers alike. Viewers will be immersed in personal stories from the streets of towns big and small to the exurbs and country roads that span the spectrum of American life. The documentaries invite audiences to reflect on topics as varied as culture, health care, politics, gun violence, religion and more. An award-winning documentary series, America Reframed is the recipient of an Alfred I. duPont-Columbia University Award for broadcast journalism. The series has earned several Christopher, Gracie, Telly and Cine Golden Eagle Awards, as well as nominations for an Emmy, Independent Documentary Association, and Imagen Award. American Documentary, Inc. (AmDoc) is a multimedia arts organization dedicated to creating, identifying and presenting contemporary stories that express opinions and perspectives rarely featured in mainstream media outlets. AmDoc is a catalyst for public culture, developing collaborative strategic engagement activities around socially relevant content on television, online and in community settings. These activities are designed to trigger action, from dialogue and feedback to educational opportunities and community participation. AmDoc is a 501(c)(3) not-for-profit organization. For more information, visit: amdoc.org. The WORLD Channel delivers the best of public television's nonfiction, news and documentary programming. The channel features original content by and about diverse communities to U.S. audiences through local public television stations and streaming online at worldchannel.org. WORLD reached 33.3 million unique viewers 18+ last year (52% adults 18-49) and over-indexes in key diversity demographics. Online, the WORLD Channel expands on broadcast topics and fuels dialogue across social media, providing opportunities for broad and diverse audience interaction. WORLD has won numerous national honors including an Alfred I. duPont-Columbia Award, Tellys, a Media for a Just Society Award, two Lesbian & Gay Journalist Awards, a Gracie, an Asian American Journalists Award and many others. WORLD Channel also won the Radio Television Digital News Association's 2017 Kaleidoscope Award for its critically-acclaimed series, America Reframed and has received four National News & Documentary Emmy Nominations. WORLD is programmed by WGBH/Boston, in partnership with American Public Television and WNET/New York, and in association with PBS and National Educational Telecommunications Association. Funding for the WORLD Channel is provided by the Corporation for Public Broadcasting, The John D. and Catherine T. MacArthur Foundation, the Wyncote Foundation and The Kendeda Fund. For more information about The WORLD Channel, visit worldchannel.org.